Too Much Awesome: Posters, Student Writing, etc. I know, Dear Reader, I know. You are getting tired of my slipshod approach, the endless excuses about how busy I am. Yesterday I coached two baseball practices, for two different teams. Threw batting practice to twenty-two different boys who are at a point, ages 11 and 12, where it’s no longer okay to just blob it over. They need the ball with a little heat. So my wing is sore. Today I’m driving off to Geneseo with my oldest, Nick, for a second look-see. He’s a high school senior and we’re getting down to decision time for college. On Wednesday, my good wife Lisa flies down to Atlanta, where she’s going to learn how to perform minor surgery on a cervix — and frankly I do not want to know any more details than that. She comes home Sunday, the day I coach a doubleheader and drive down to Long Island for a week’s worth of school visits. And, oh, yeah. There’s the job thing, too. Writing stuff. I wanted to share a few scans and photos. 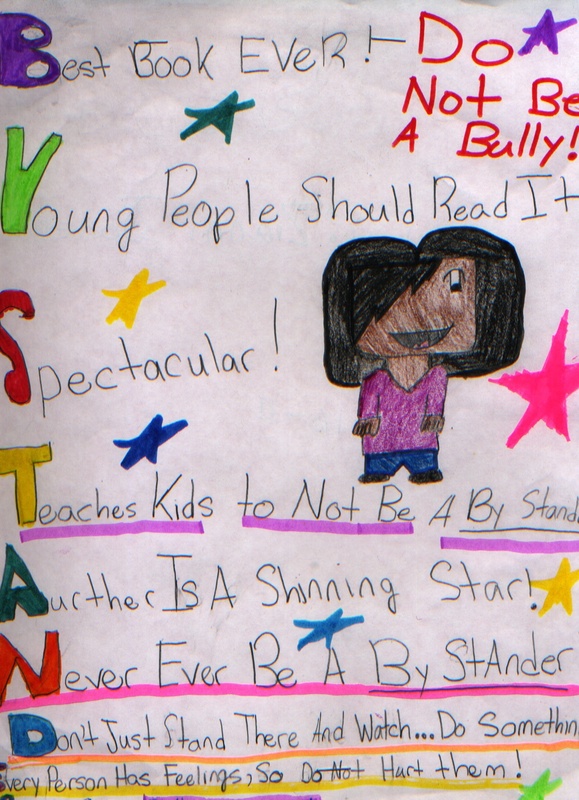 I recently visited a school down in Sicklerville, NJ, where the students filled the halls with creative responses to my book, Bystander. There were posters and poems. 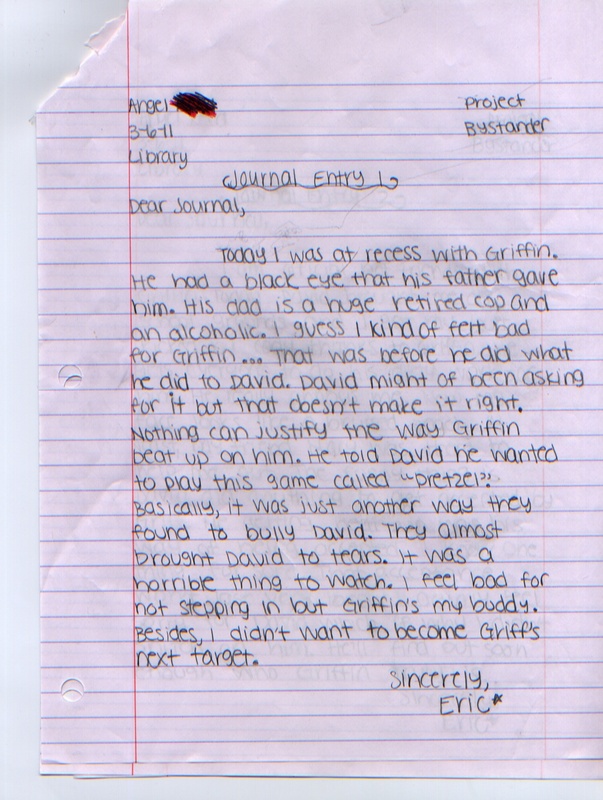 Some students wrote journal entries from the perspective on a book character, and I thought those were particularly interesting and effective. Isn’t that the big lesson in To Kill a Mockingbird, when Scout stands on Boo Radley’s porch and sees the world from his perspective? When she stands in his shoes? “You never really understand a person until you consider things from his point of view . . . until you climb into his skin and walk around in it.” — Harper Lee. Most posters were too big to scan. 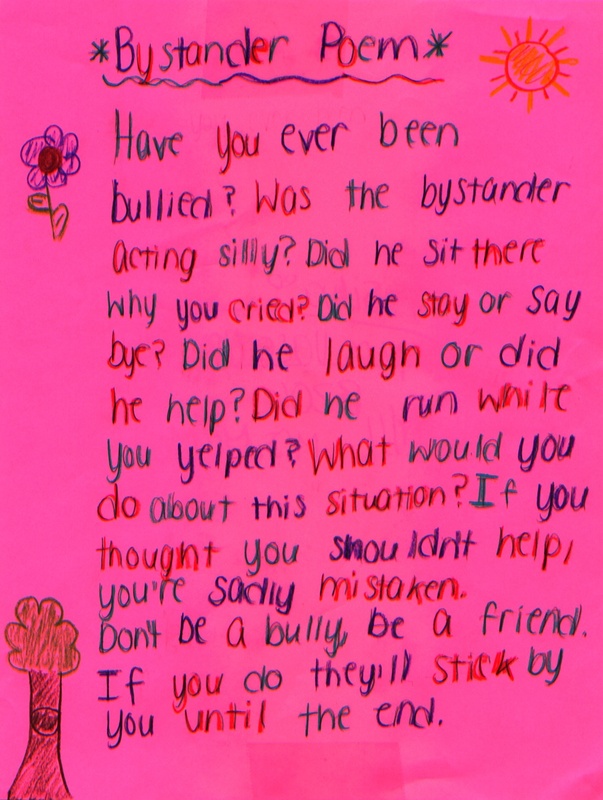 I loved the tagline that one boy came up with . . .